In Recordings, Madoff Offers Tips To Evade SEC A new recording has surfaced from convicted swindler Bernard Madoff. The 2005 tape begins with, "Obviously, first of all, this conversation never took place." Authorities say Madoff was coaching a potential witness who was going to be talking to the Securities and Exchange Commission. In newly released tapes, Bernard Madoff can be heard outlining ways to dupe the Securities and Exchange Commission. The financier was sentenced in June to 150 years in prison. Two top Securities and Exchange Commission officials pledged Thursday to fix problems that led to the failure to detect the Ponzi scheme perpetrated by Bernard Madoff. The heads of the SEC's enforcement division and inspections office told a Senate hearing in prepared testimony that they "deeply regret" the agency's failure in the Madoff affair, vowing changes to avoid future breakdowns. The testimony comes after the recent release of tapes by Massachusetts Secretary of State William Galvin in which Madoff, who has since been convicted of fraud and sentenced to 150 years in prison, can be heard coaching a witness on how to dupe the Securities and Exchange Commission. "Obviously, first of all, this conversation never took place," Madoff can be heard saying in a phone conversation with an employee of Fairfield Greenwich Advisors. On the tape, Madoff walks the employee through his tips for beating the SEC. No. 1: Don't write anything down. "The best thing to do is not get involved with written instructions, if possible," Madoff says. "Cause anytime you say you have something in writing, they ask for it." Just how successful this tip was can be seen in a recently released SEC report. Madoff claimed to investigators that he traded by using his "gut feelings." SEC investigators didn't pursue the inquiry any further. In the phone call, Madoff is contemptuous of the investigators. He says you don't have to be too brilliant to beat them. "No one pays attention to these types of things," Madoff says. The agency had been tipped off about Madoff for years and had investigated him five times. Still, regulators never followed through enough to catch him. Madoff never admits on the tape that he's faking his returns and executing a giant Ponzi scheme. He doesn't talk about his strategies, which he calls "his intellectual property," and he says to the investment people on the other end of the line, "The less you know the better." The recording may have legal implications for the people on the other end of the phone line and their collaboration with Madoff, but the phone call is most damning to the SEC itself. Madoff had no fear of regulators; he mocks them. "We run through this all the time," he says. "The guys come in to do a books and records investigation, and ... they ask you a zillion different questions. And we look at them sometimes, and we laugh, and we ask them, 'Are you guys writing a book?' "
The SEC, in its report on what went wrong, acknowledges that it was cowed by Madoff. He would regale the investigators with stories, and then suddenly start yelling at them, veins popping out of his neck. He understood what the SEC is only realizing now: The investigators they hired were young, inexperienced and wanted to go work for the firms they were supposed to be regulating. "These guys, they work for five years at the commission, and then they become a compliance manager at a hedge fund ... Nobody wants to stay there forever," Madoff can be heard saying on the tapes. 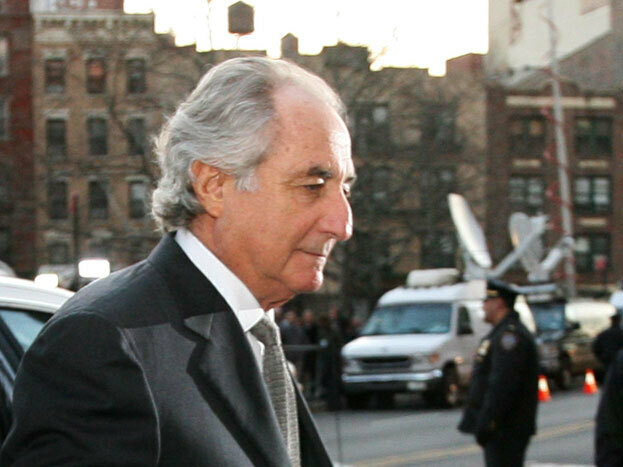 This is the real Madoff — not the contrite one seen during his trial and sentencing. Madoff was brash, he knew the flaws in the system, and he laughed at them — until he got caught.